Quincy, Massachusetts, is usually familiar for our harsh winters. We get over four feet of snow and ice every year on average. That’s more than enough to keep many members of the community stuck inside if it weren’t for the advances of snow removal technology and services. When you get as much snow as we do, it can be difficult and sometimes impossible to keep up on your own. Most of us just don’t have the time, energy, or ability to get out there and shovel heavy snow and remove ice for hours, or invest in a powerful snow plow that will cost a fortune to get and maintain. Thankfully you don’t need to get a super heavy and expensive piece of machinery or bundle up in countless layers to shovel heavy snow. 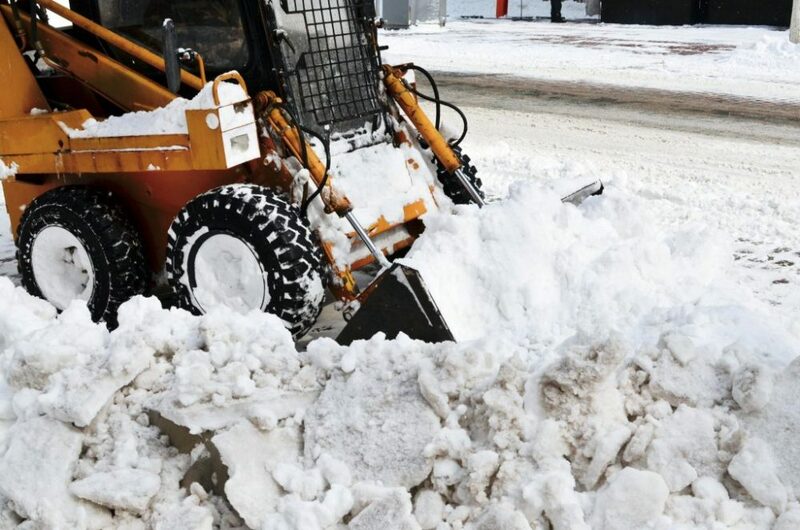 Quince Snow Removal can respond to your call and be at your residential location quickly whenever you need it. With flexible snowing schedules comes flexible snow removal services, and whether you need your driveway snow plowed or your rooftops cleared of snow and ice. We’ll make sure you have a safe and clear environment. With the tremendous amounts of heavy snow we get each year, it takes specialized equipment like ours to quickly and efficiently clear it. If you’ve lived in a snow climate like ours for any significant amount of time you’ve probably slipped on ice a time or two. The thing about ice, black ice in particular, is that it can be incredibly hard to detect but extremely quick to punish you for stepping on it. We’ve all seen the news reports on the people who’ve slipped and injured themselves. While walking down their sidewalk to get the mail, or who slipped and fell down their driveway that was covered in ice... these accidents are very common during the winter season here, but they are quite avoidable by taking advantage of a residential snow removal service. Aside from the practical benefits of keeping you and your property safer from snow damage, having a quality snow plowing and ice control company service your home gives you peace of mind. Mother nature can be truly impressive when you appreciate the heavy blanket of snow that covers the entire area after a good snowstorm. Also, it’s definitely fun to play in too, but over time it can start to get dirty and look quite poor. Since snow is essentially just water frozen into little flakes. It can easily absorb dirt, grime, road oils, and so on, and quickly end up looking really dirty. This of course makes your normally beautiful home look a little less beautiful and perhaps even neglected. Not to mention mounds and piles of snow can take up parking space and make it difficult for family to visit or for you to get around your property. With our state of the art snow plowing equipment, we can create a clean and safe environment to ensure friends and family have a nice welcome. You don’t need to worry about anyone slipping and falling in muddy snow or ice, plus your home looks more beautiful than ever. Shoveling heavy snow is backbreaking work. It’s time consuming, mentally and physically exhausting, and to be frank, not that effective in the long run. Even if people had all the time and energy to shovel it manually it wouldn’t be an efficient or worthwhile use of your precious time. Who wants to spend their winter outside shoveling snow every time it snows instead of enjoying time inside with family or heading out of the house to something fun. Nowadays it’s simply not necessary to manually shovel when you have powerful snow plowing technology available that will get the job done in a fraction of the time and better than ever. And there are other perks of hiring a quality snow removal service too. We ensure that no snow or ice is left behind by using industry proven methods. There’s no need to suffer numb hands and sore back while shoveling heavy snow around your home when you have Quincy Snow Removal. Our teams of experienced technicians have a great attitude and will do an exceptional job at removing the snow and ice from anywhere required on your property.